Earlier this week, I interviewed Penn basketball coach Jerome Allen for a story in the next issue of the Gazette. The best part about the chat? 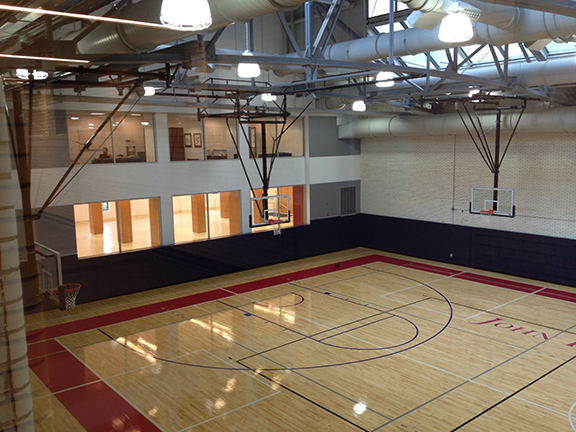 It took place in Allen’s brand new office overlooking a brand new basketball court at the recently renovated Hutchinson Gymnasium. 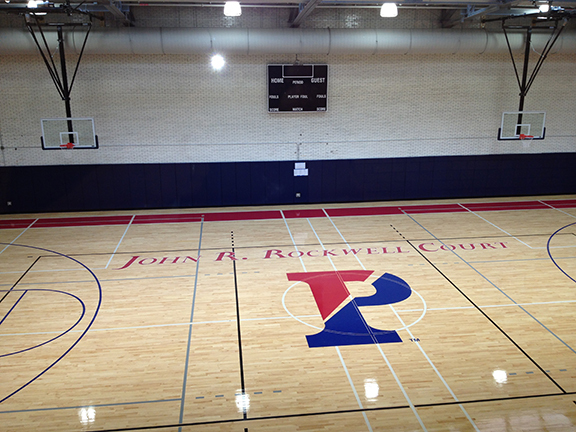 The John R. Rockwell Court is part of several upgrades to the creaky old gym. Others include a new fencing room, as well as improvements to the school’s golf, gymnastics and rowing training facilities. 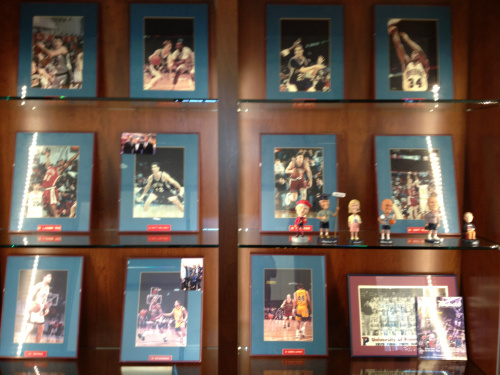 For Allen, whose old office was in a cramped space at the Dunning Coaches’ Center and whose team’s practice court was in a stuffy upstairs gym at Weightman Hall, the major upgrades mean a lot. Some parts of Hutch Gym are still under construction but I snapped a few photos of the renovations, which I’ll share below. A look from above at the center of John R. Rockwell Court. 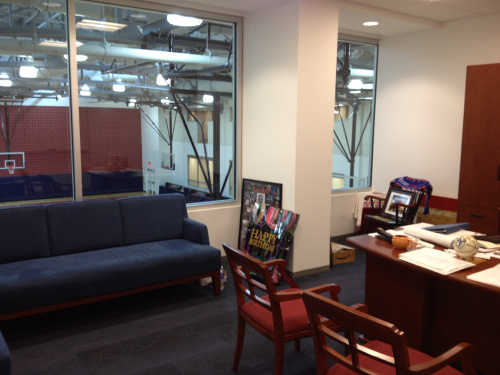 The basketball coaches offices have glass windows overlooking the court. A look from the inside of head coach Jerome Allen’s new office. 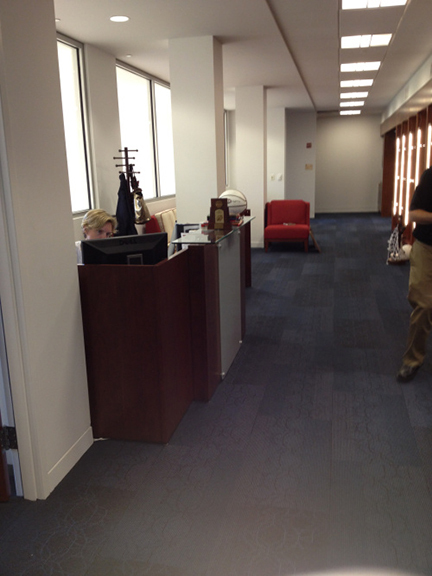 A look down the hallway outside the coaches offices. Some photos – and bobbleheads! – are already decorating the shelves outside the offices. 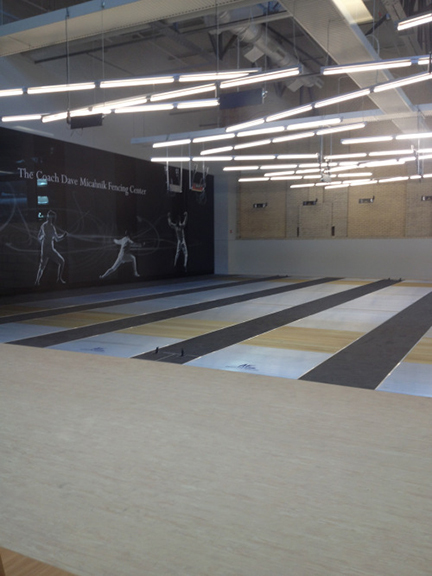 The new fencing training room was named after longtime coach Dave Micahnik. 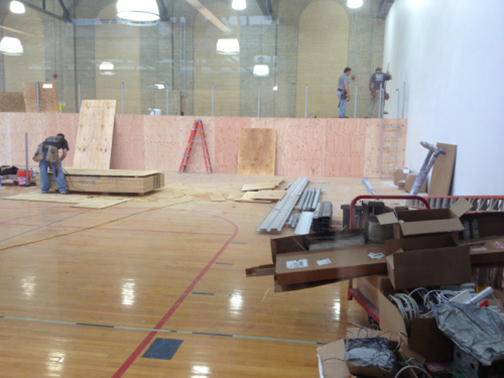 Some parts of the Hutch Gym renovations – like the gymnastics room – are still under construction.